I am in love with food tours. My first one was the Southernmost Food Tour with Key West Food Tours and I have been hooked ever since. 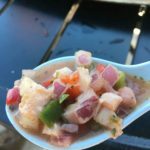 What I, specifically, like about Key West Food Tours is they offer more than one option and are continuing to grow. This means each time you visit Key West, you can take a food tour and it’s a whole new experience, depending on which one you choose. Which is what I did. This last time I went out on the Seafood Tour and it was… awesome. Let me set the stage, it was our last full day in town and I still had a list of many, many things I wanted to see and do. A food tour, yes was on the list, but so was a lot of other things. But, the Seafood Tour was one of the best three hours we spent in Key West. I had taken the Southernmost food tour before and was really impressed. This tour was just as impressive. In tow, this trip was my brother in law. The food tour gave him an opportunity to see more of the Island, hear someone else tell stories about Key West and taste downright spectacular food. 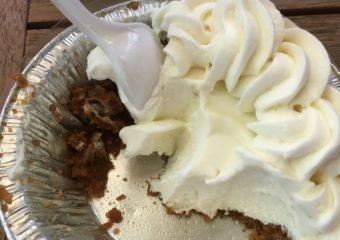 What a food tour does is highlight a section of Key West, let you learn all about its history and taste the food of the area. 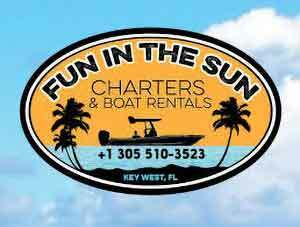 It’s the perfect way to show off Key West to first-timers and return visitors. We all can learn something! This tour is about 3 hours and focuses on the seafood industry and the historic seaport. Honestly, I learned new and interesting tidbits from the tour. 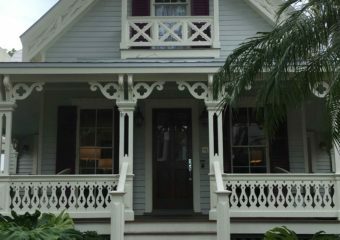 Our tour guide told us stories, both personal and about Key West, and I was sad to see the tour end. There are six stops on the tour. At each stop, you will spend about 30 minutes enjoying the sample of food and hearing all about the dish’s history as well as the locale. This is your first stop. If you haven’t been to Isle Cook Key West before, plan to return after the tour. 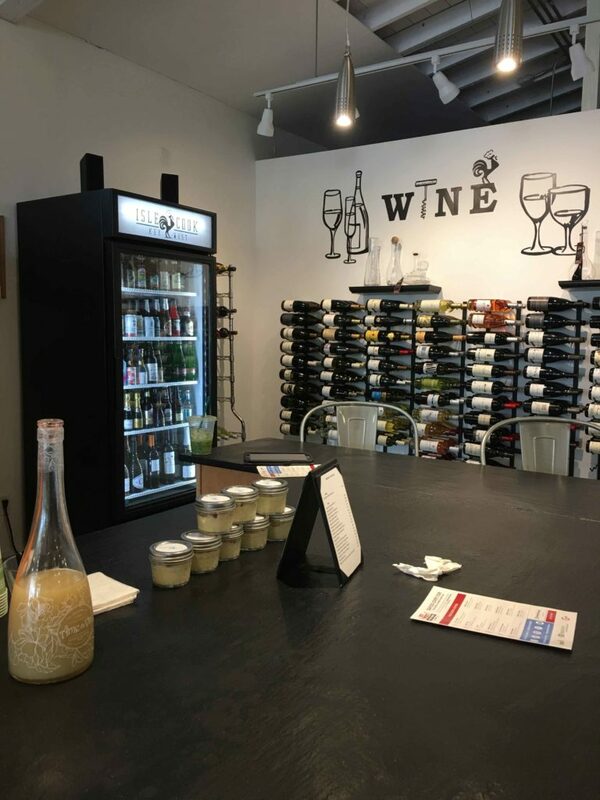 They sell interesting cooking items as well as offer dinners and tastings. I have made a note to head back here on a return trip. But, like all good hosts, they appeal to their guests’ likes and this is where we start with dessert. Here is where you taste the original Key Lime Pie. Here’s a hint… it’s not served on a plate. The second stop is just around the corner at Garbo’s Grill. This a place we always stop at while in town. This trip, we hadn’t made it over yet… so I was looking forward to this stop. 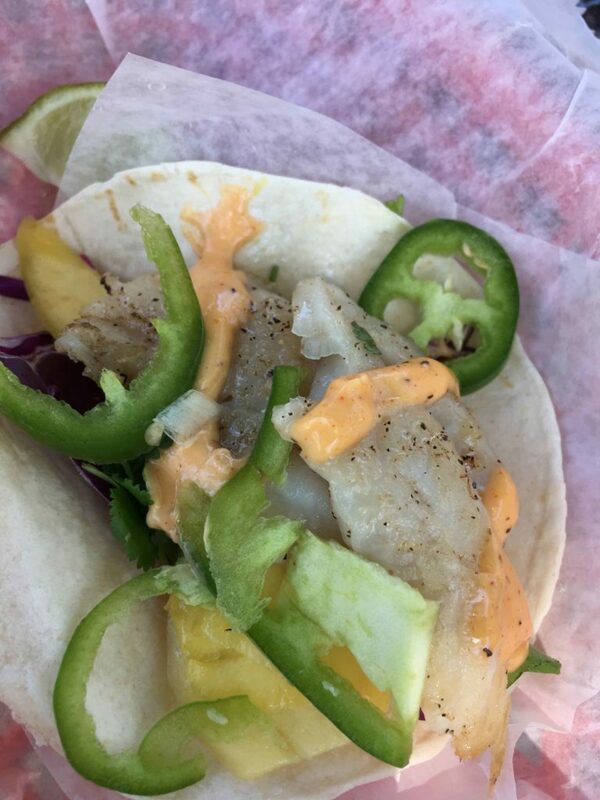 The fish tacos were served and they were on point. Interesting side note never had them here before… but I will definitely have them here again. 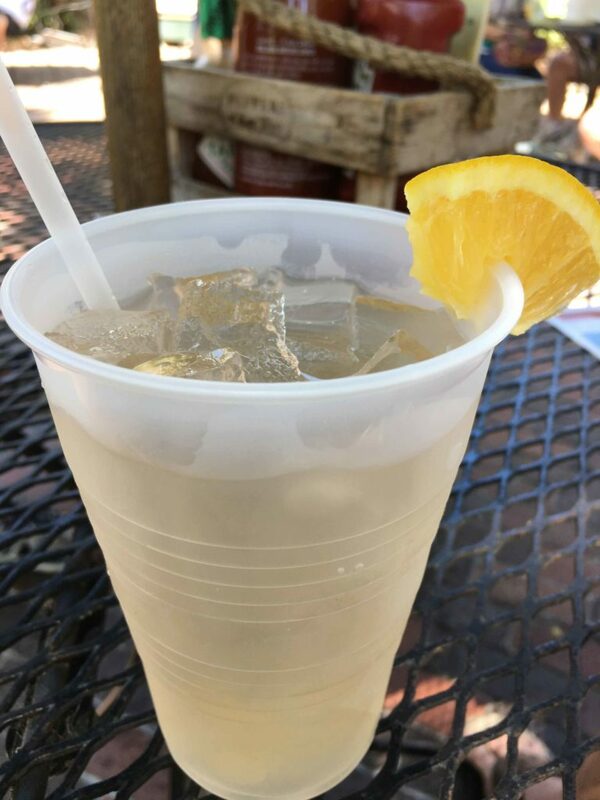 My go-to drink at Grunt’s (if you have been to Garbo’s you will know this place), is the white peach Sangria. The tour stop is long enough for you to pick up a drink along the way. So, that’s what I did. This was our next stop. 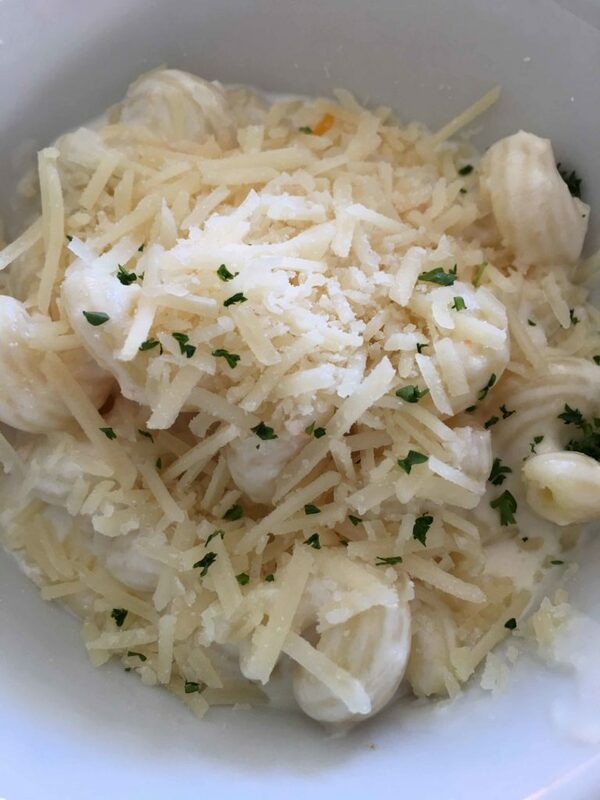 I have been to Bagatelle before but didn’t try the lobster mac & cheese. This was, by far, the best dish on the entire tour. I still taste … crave?… it even it today. Everyone in our group agreed… yum and yum. 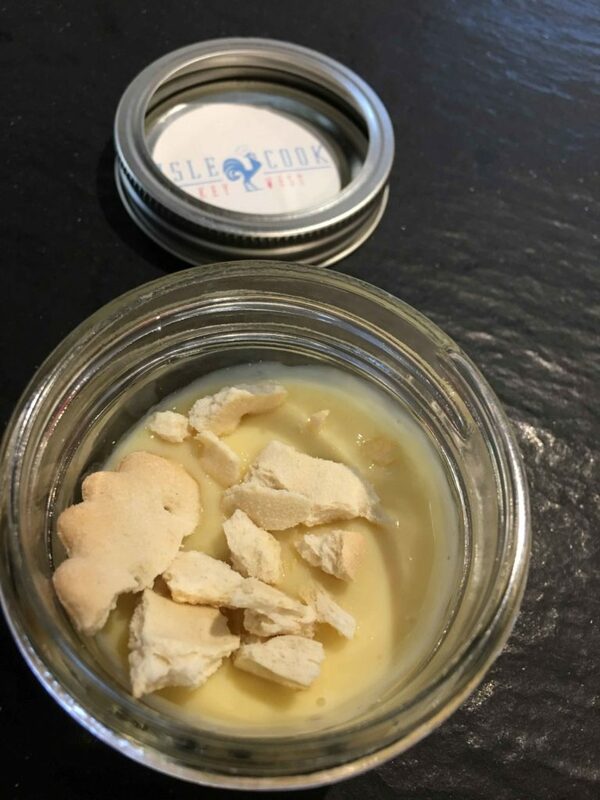 Another interesting tidbit, this is served with lobster not caught in Key West rather… well you will have to take the tour to find out. This is on the Simonton Beach. Lagerhead’s is owned by someone who has ties to a very famous person in Key West. See… another tease for you to take the tour. 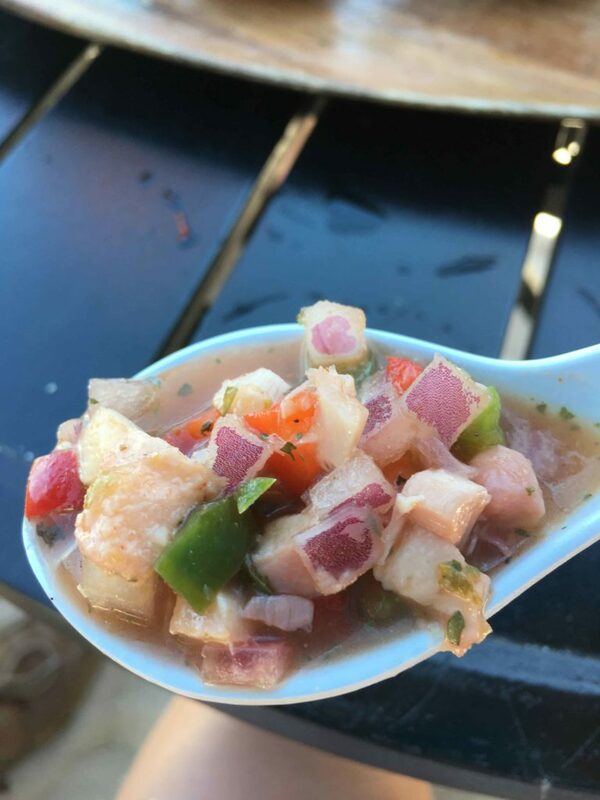 At this stop, you will try Conch salad and smoked fish dip. 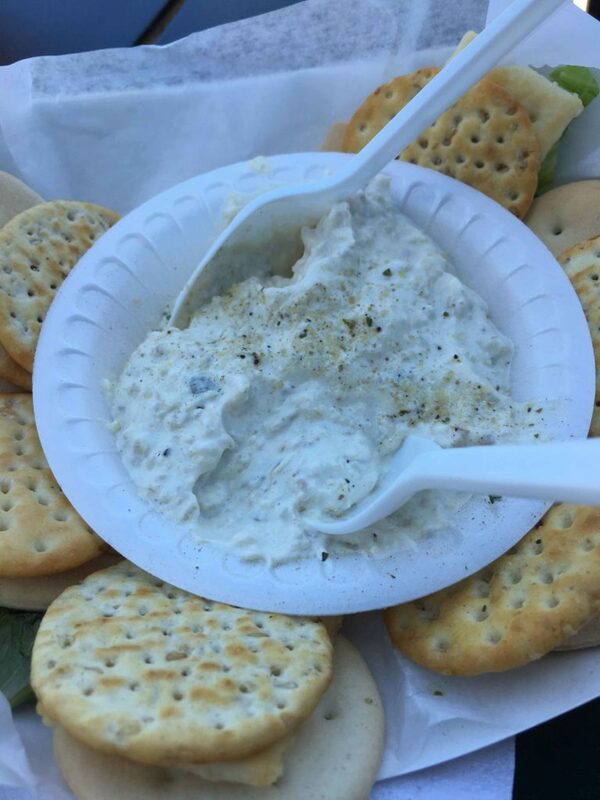 I thought I wouldn’t like the dip, but it was really smooth light and not “fishy”. It is something I would go back and order. 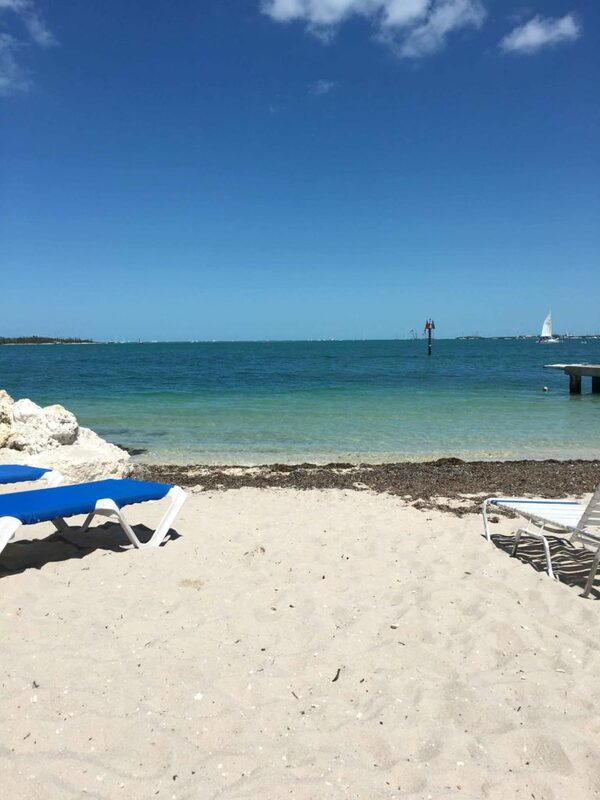 Here you will also see beautiful water views and sit on the sand. You may never want to leave, but do, because the last two stops are worth the walk. In this converted gas station is some of the freshest fish you will find anywhere in Key West. We have stayed at Island City House, across the street, before and have had some of our best lunches at Eaton Street. This is a stop we will be heading back to again and again. But, on this tour, we were able to try the famous Key West Pink shrimp. They are so sweet and wonderful. So much so, that I ate mine up before I even took a picture. Ok, I know you are asking, what does a brewery have to do with a seafood tour? It’s all about location. 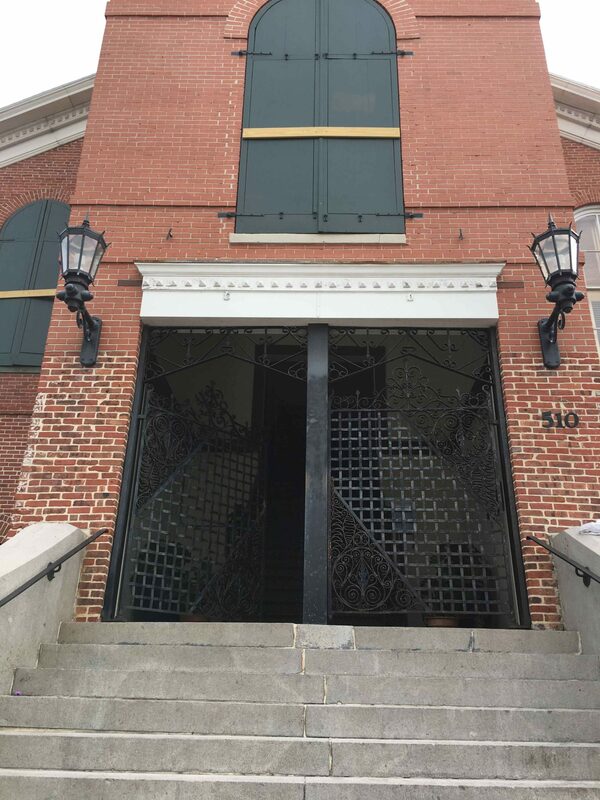 This is located in the historic seaport and the history of the building is pretty cool. 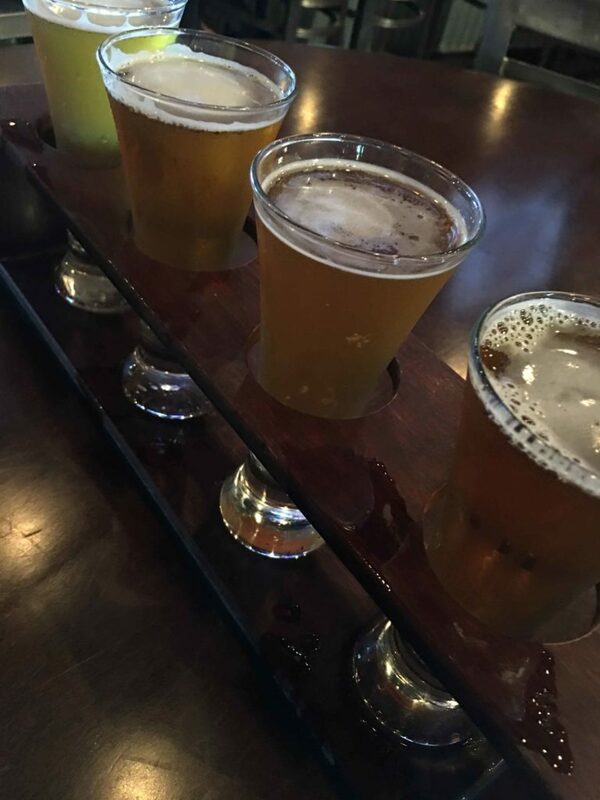 Since this is the last stop on the tour, enjoy the samples of beer, brewed right there. But, plan to stay and linger awhile. The views from the Waterfront are spectacular and, well, the beer is awesome. I confess I enjoy many pints of Crazy Lady while in Key West. If you haven’t taken a food tour while in Key West, do. If you have, take another one. I can’t say enough about how interesting they are and, well, yummy. One suggestion I have is… tip your tour guide. They spend the time to learn all about Key West, its history, and its foods. Plus, they will give you great insight on where to eat and hidden gems you must try. 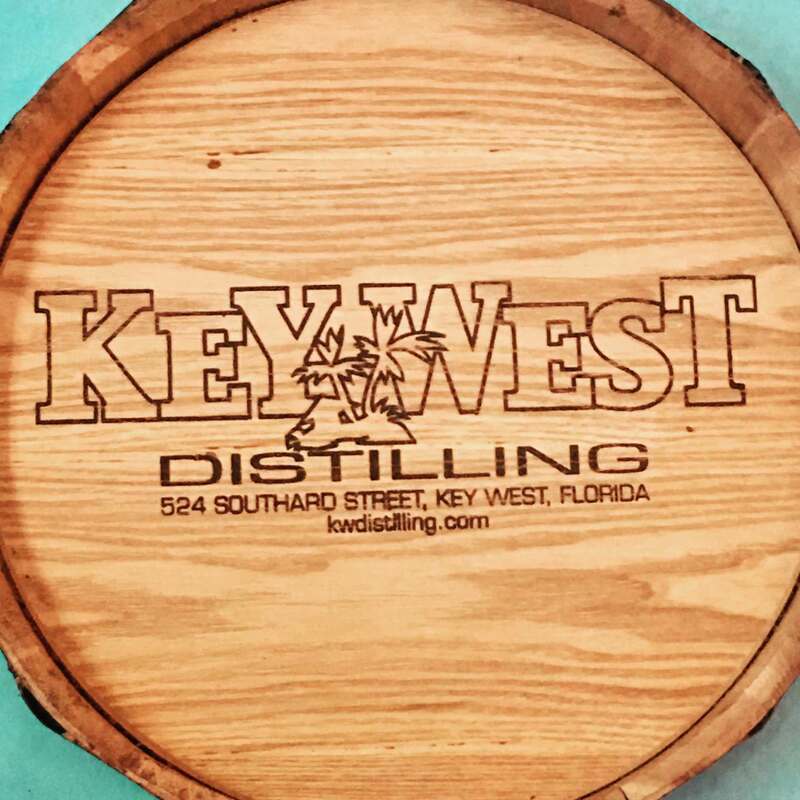 Head over to the Key West Food Tour page and book your culinary adventure.